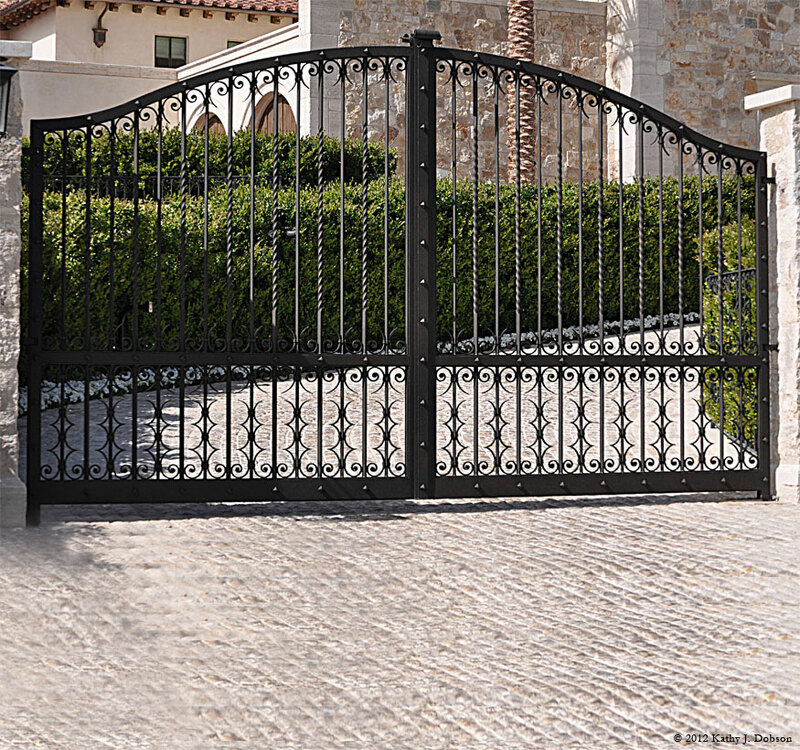 Custom metal gates, built by Ironwood Designs, will enhance curb appeal, provide security, and can increase the value of your home or business property. 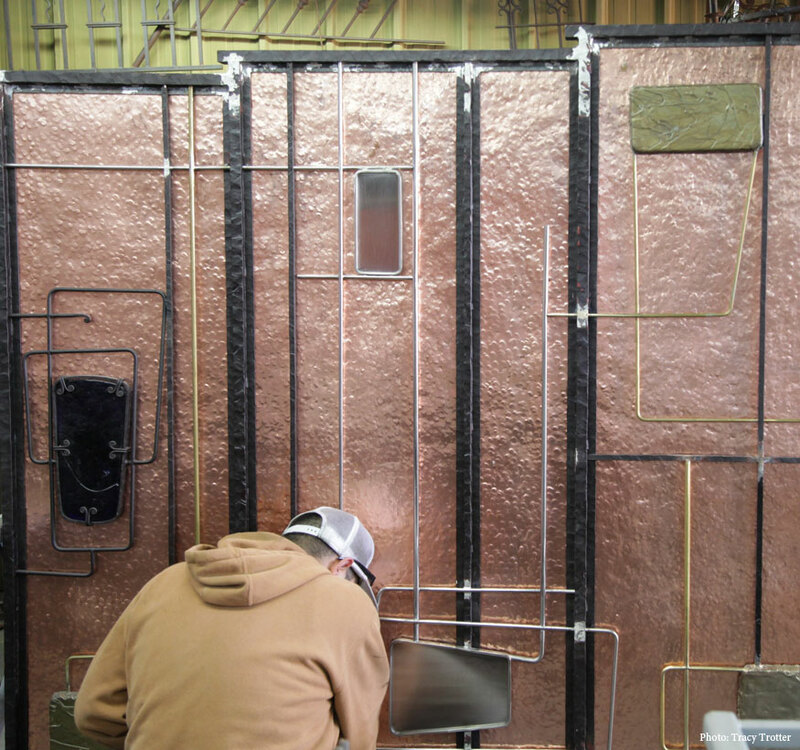 In addition to traditional wrought iron, we are also well versed in fabricating beautiful gates and entryways that incorporate a variety of elements including custom blown glass, formed copper, cast bronze, and a range of types of metals. Peruse our gallery to the right for just a small peek at what we can do. 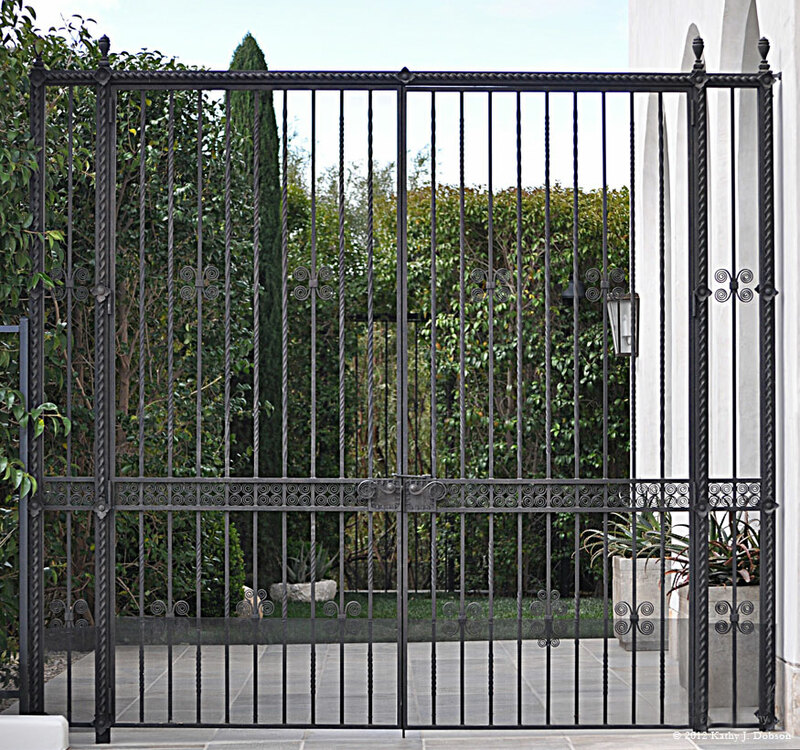 Like all our other fine metal and iron products, our gates are made to order, in our full service shop in Santa Barbara. Old World Iron Gate Viewed from inside, looking out, the finish of this old world wrought iron gate has been intentionally left to achieve a charming rusted patina. of ornate detail, including 24k gold leaf coiled cones. Copper Gate This copper gate incorporates blown glass, cast bronze, and steel. 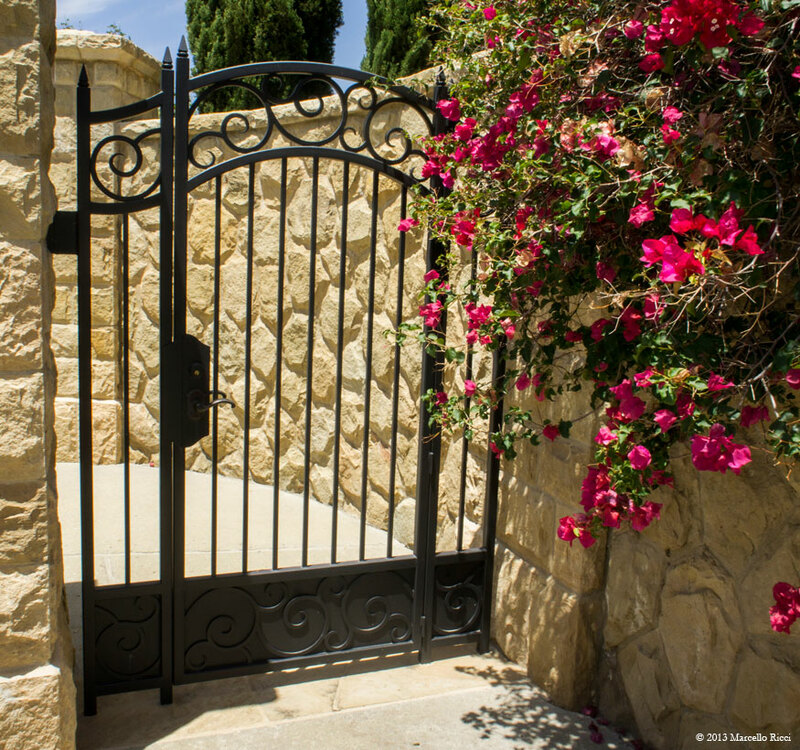 When complete, it will mark the entry to the Malibu home of an avid art collector. 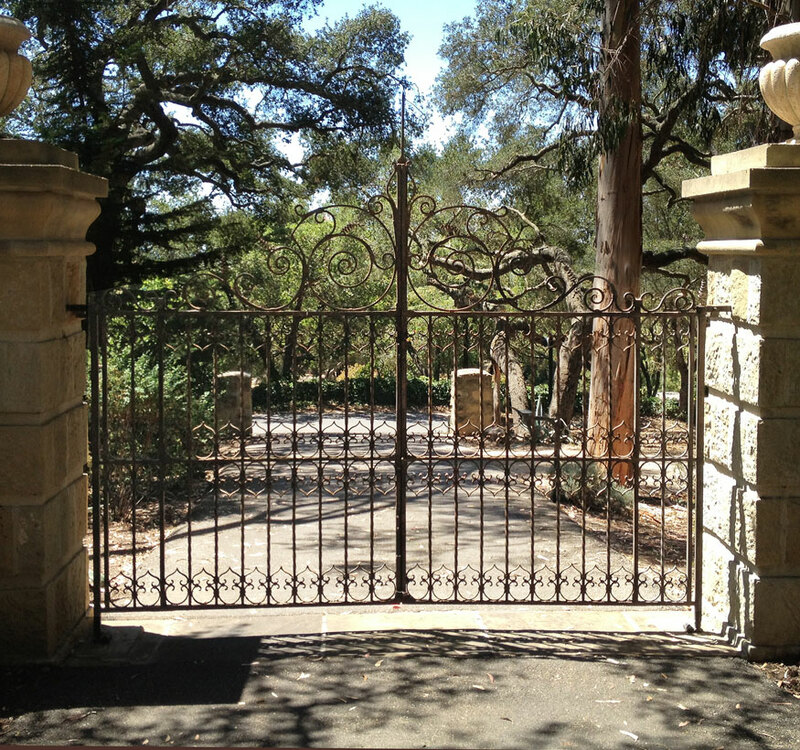 Wrought Iron Gate Designed by Bob Easton Architects, this stately wrought iron motor gate is about 16 feet wide, and marks the entry to a Montecito foothills home. Pedestrian Gate Not to overlook pedestrians, this wrought iron gate was designed by Bob Easton Architects to match the motor gate alongside it. Built by Ironwood Designs. 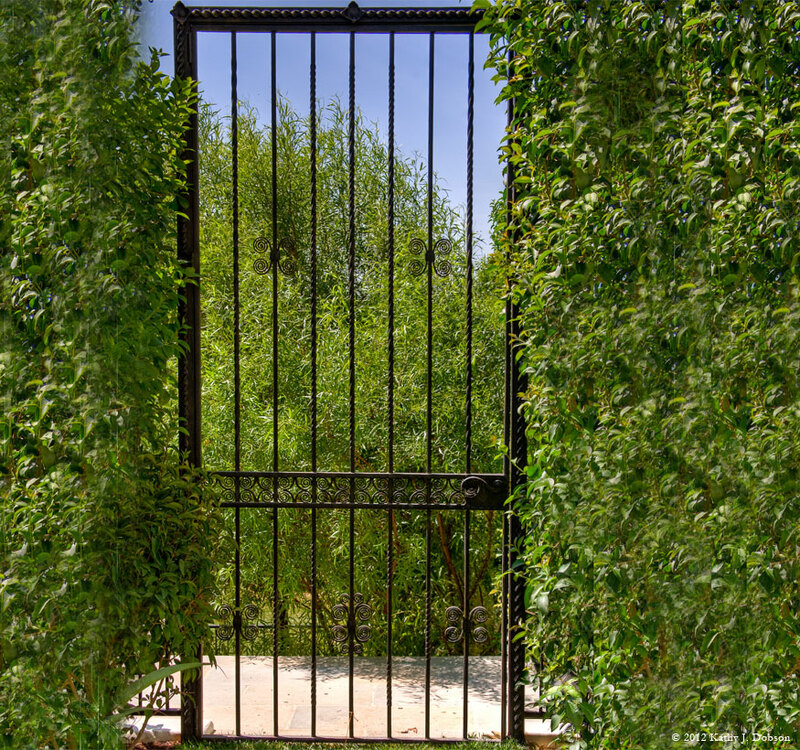 Side Yard Gate This tall, delicate looking wrought iron gate encloses a side yard of a desert home. Designed by Richard Hallberg, built by Ironwood Designs. 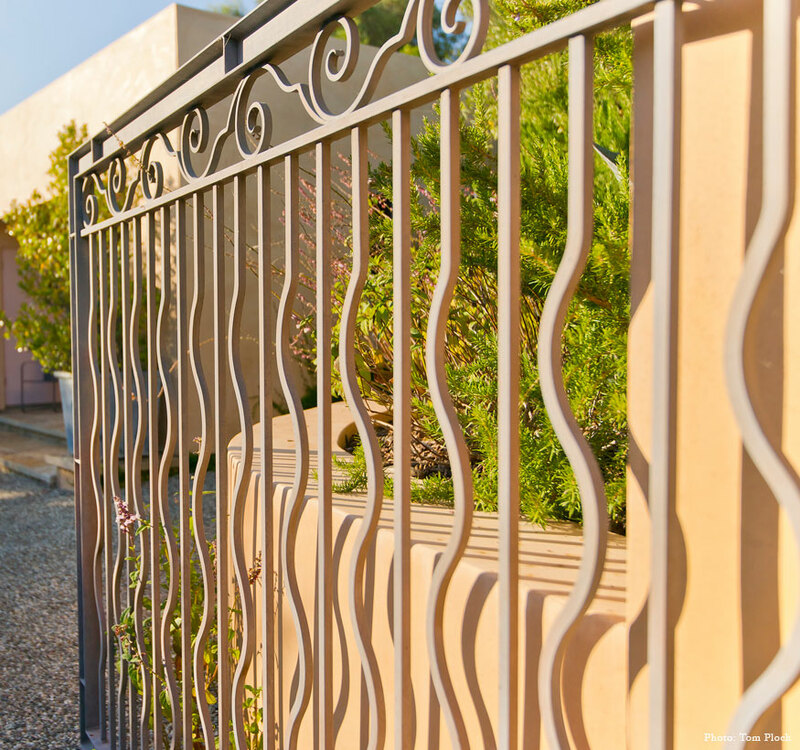 provides a graceful entry and exit to the side yard. Designed by Richard Hallberg, built by Ironwood Designs. 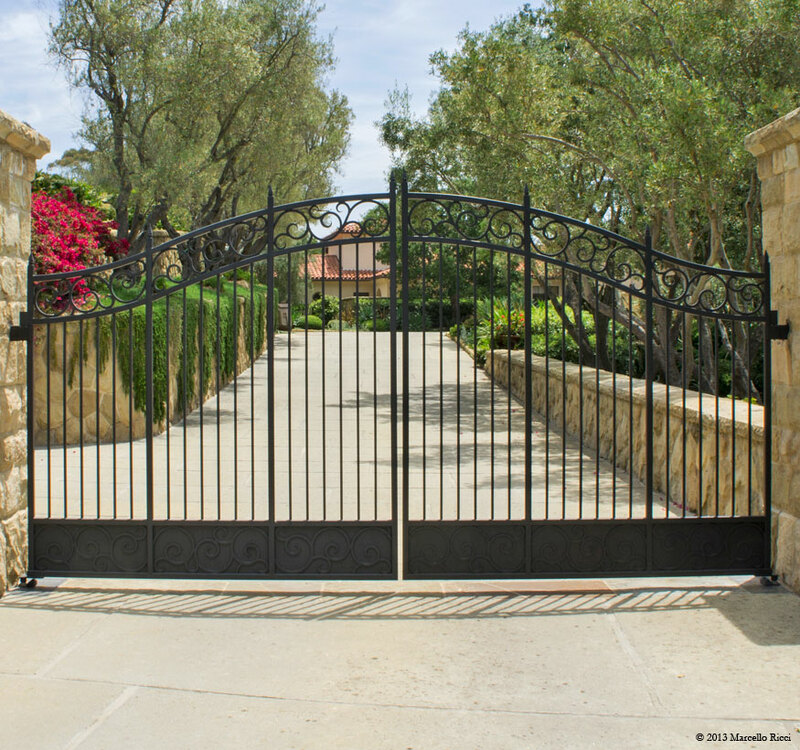 Italian Villa Gate This 16 foot by 12 foot wrought iron gate welcomes visitors to an Italian villa in the desert. Designed by Richard Hallberg, built by Ironwood Designs. 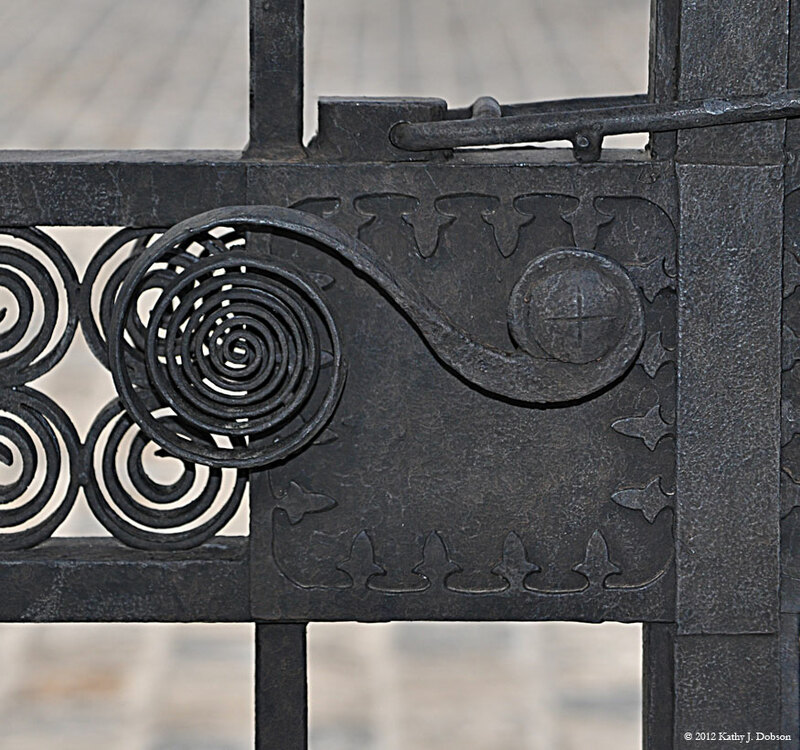 Gate Detail Detail of a custom, ornate wrought iron gate for a desert home. 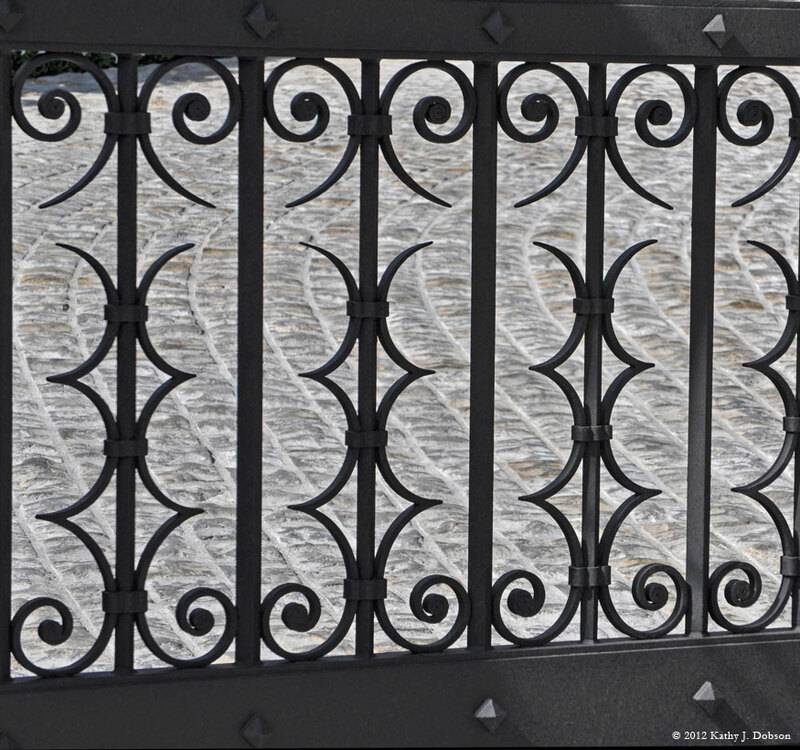 Iron pattern designed by Richard Hallberg, built by Ironwood Designs. 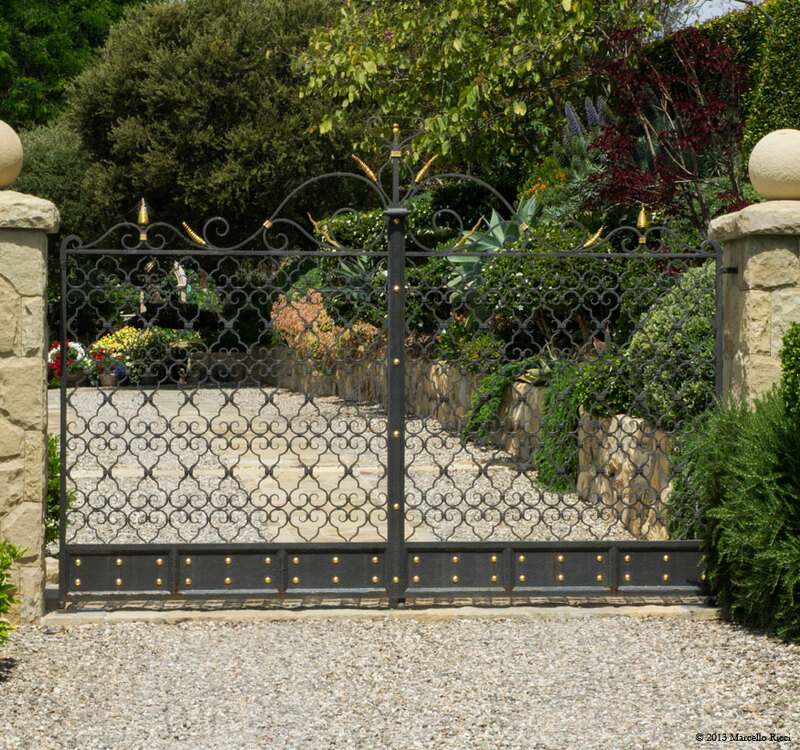 Wrought Iron Gate Warm welcome and security are in harmony in this custom designed and built wrought iron gate at the entry to a private home in Montecito, California.